I have got some glass stuff that I need to transport, and it seems that the only way to go is by plane. How well does it need to be wrapped? Is the chance that it will survive at least 90%? (The things weren't expensive, but still.) Or can I take such things with me in the cabin? The trip is a Czech Airlines / Air France trip Paris CDG to Prague PRG, probably by A320. I'll also try to surround them by clothes. On one hand, it seems to me that it should be fine, but I've seen the way how (especially CDG personnel) treat the luggage, so on the other hand, I'm really worried. A friend of mine has a small glass (beer, wine, vodka, whisky, etc.) collection and I buy glasses every now and then for him when I travel. I know it's probably not the same but most of the tips can probably be applied to any other fragile item. Glasses can be very fragile, specially the ones with a foot. I have transported them both in hand luggage and checked in luggage. I never had any trouble with security in hand luggage. In any case, transporting it in hand luggage does not mean that it's safer from breaking. Hand luggage can, sometimes, end up in the cargo hold. Also with all the rush, security checks, etc that airports impose anything can happen so I would advise you to protect your glass items as if they were going as checked in luggage. since glasses have an empty volume between the walls I try to stuff that with whatever I have. Either paper or clothes (socks are good for that). That gives it some interior resistance. Whatever you put inside should create a bit of pressure on the glass walls - but not that much that it breaks. wrap it in clothes and/or journal. I am specially careful when glasses have a thin foot since it's a critical area. I try to wrap that tightly first. put it in the centre of the suitcase, in the middle of clothes. If it's near a side it's more likely that an "hit" from other object breaks it. When transporting more than one item I never pack them together. Some kind of torsion/pressure on the suitcase may make them pressure each other and break. 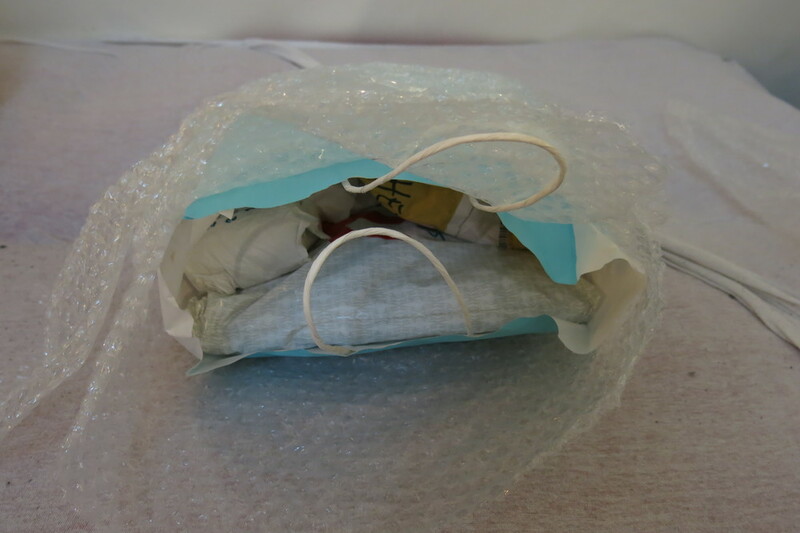 Having some padding between them keeps the overall elasticity of the package higher and therefore less likely to break. Whenever they fit in some rigid thing that I may be transporting I do it. (first wrapping the glass before enclosing it). Shoes are a good example, like sphehro mentioned. It works like a shell inside the luggage. As an objective criteria I would suggest packing things so that the suitcase could be dropped from a height of 3' (1m) in any orientation without damage. Doing that, I have had no problems with broken glass bottles or other relatively fragile stuff. If you can fit the items into a shoe or boot, that helps, and of course surround it with clothes and keep it well away from any other hard stuff in the suitcase. 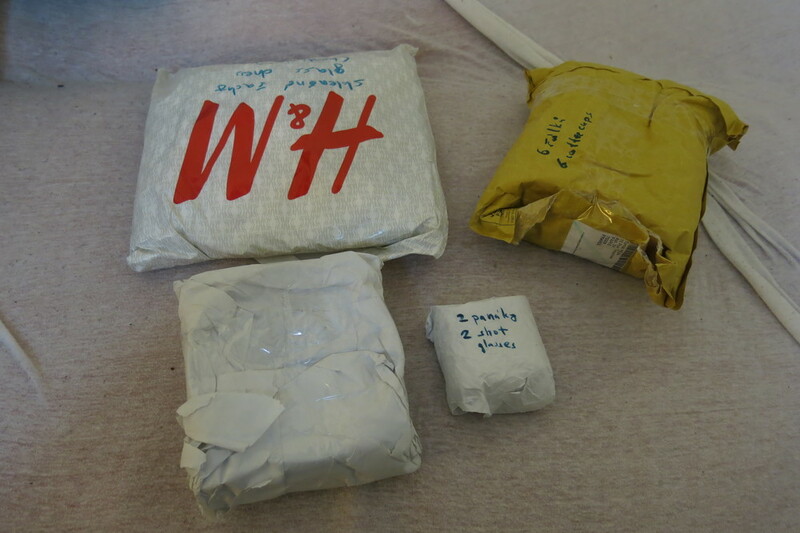 If there is potentially suspicious looking stuff in your checked bags, better to have it in another suitcase because you can't count on the security agents restoring your padding. There's also risk at either end especially from cabbies or porters, some of who can be rough even with you standing right there. Not the answer you're looking for? Browse other questions tagged air-travel luggage hand-luggage damaged-luggage or ask your own question. How many small fluid items are allowed in hand-luggage in European flight?